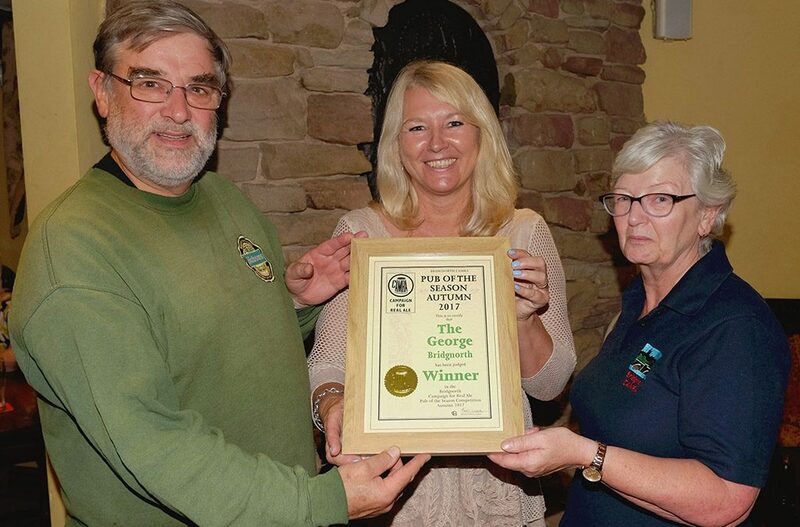 Bridgnorth Pub of the Season Autumn 2017 winner was The George Bridgnorth . Sue Tristram was presented with the award by branch chairman Eleanor Haddon and POTS organiser Alan Thwaites. Bridgnorth CAMRA, a sub-branch of Telford and East Shropshire CAMRA, promotes CAMRA’s objectives in Bridgnorth and surrounding rural areas. We have a lively social scene, and an annual beer festival.